Unilever must provide remedy to the Kenyan workers and their families who suffered serious human rights abuses on the firm’s tea estate. In seeking to hide behind its corporate structure to avoid accountability, the company risks undermining the very principles that it claims to support. 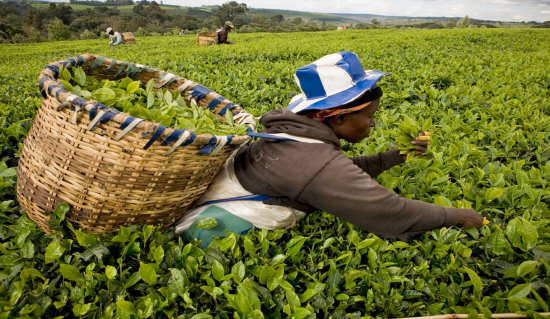 Last week the UK Court of Appeal dismissed a case brought by 218 Kenyan tea plantation workers and residents, who claim that consumer goods giant Unilever failed to protect them from post-election violence in 2007. More than 3000 people were forced to flee when attackers armed with clubs and machetes invaded a Unilever tea estate in the Rift Valley after the election result was announced on 30 December. Of the 218 claimants, seven were killed, 56 were gang raped and the others were subjected to brutal attacks that have left them with lifelong physical and psychiatric injuries. The claimants argue that the plantation attacks were foreseeable. Kenyan elections in the 1990s had been marred by violence, and warnings were sounded of a likely repetition in the run-up to the 2007 vote. At the time, Unilever employed 24,000 people on its Western Kenyan tea plantations and together with their families about 100,000 people lived on the plantation – the largest concentration of Unilever workers in the world. Unilever PLC in London had crisis management experts who were responsible for training staff at Unilever Tea Kenya. Five Unilever Tea Kenya ex-managers have testified to how intimately involved Unilever’s UK headquarters were in the management and policies of the Kenyan plantation. Ahead of the 2007 election, the company took steps to protect management housing and company assets, but it did nothing to protect plantation workers and their families, many of who came from other parts of Kenya, putting them at risk of ethnic violence from the surrounding majority tribes, especially at moments of heightened tension. The Court of Appeal dismissed the case on the grounds that the claimants had provided insufficient evidence to show that Unilever PLC had advised its subsidiary Unilever Tea Kenya on crisis management plans. This is the Court of Appeal’s third judgement on parent company liability for human rights abuses in nine months. Alongside the decision in Okpabi v Shell of February this year, it represents a worrying trend among UK judges. To dismiss such cases before substantive issues are analysed and when information about the nature of the relationships in corporate groups remains almost entirely in the hands of the defendants enables companies to prevent a full examination of potential human rights and environmental abuses. Unilever has so far refused to disclose its most relevant documents to the Court, choosing instead to hide behind its corporate structure to evade liability. This unwillingness to engage is especially damaging when, as the Court noted, the victims were unable to obtain justice through Kenyan courts for fear of reprisals. This does not chime well with Unilever’s ambition to remain a corporate leader on human rights and runs contrary to the statement in its 2017 updated human rights report that ‘Effective Remedy’ is one of its five focus areas. The UNGPs on Business and Human Rights – to which Unilever is committed – make clear that all companies should carry out human rights due diligence to identify and address human rights impacts that the business causes, contributes or is linked to. The UNGPs also set out that where businesses cause or contribute to adverse impacts, they should provide for or cooperate in their remediation. In this case Unilever has shown its commitment to the UNGPs to be at best partial, and at worst illusory. The company’s approach to this case risks undermining the very Principles that it supports and promotes, sending a dangerous signal to business that implementing the UNGPs is a pick-and-choose exercise. This would be welcome news to irresponsible firms who want to look good on human rights, while seeking to avoid real accountability. If the UNGPs are not to be reduced to little more than warm words, all companies, particularly those such as Unilever that seek to be leaders on human rights, must change their approach when responding to victims seeking redress. The Kenyan victims in this case have been denied remedy for 11 years. They now face further delay while they await permission to appeal to the UK Supreme Court. In the meantime, Unilever has an opportunity to show real leadership on human rights by listening to and helping its former employees and their family members who have suffered the most appalling human rights abuses. Read Unilever’s 2017 human rights report here.